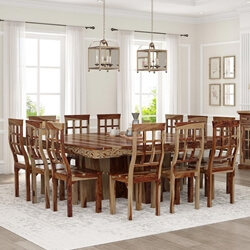 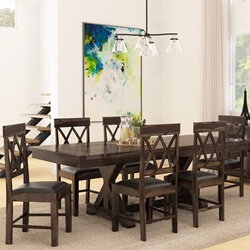 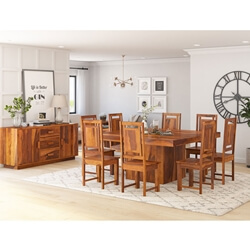 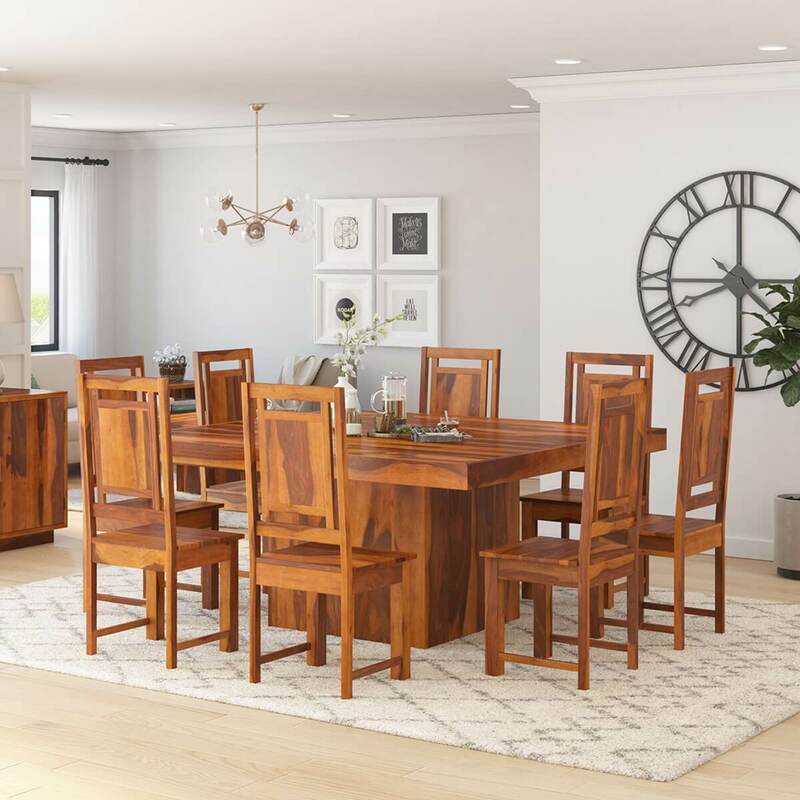 Our Brocton Solid Wood Square Pedestal Dining Table and Chair Set feature rustic styling, allowing it to fit perfectly with your existing décor. 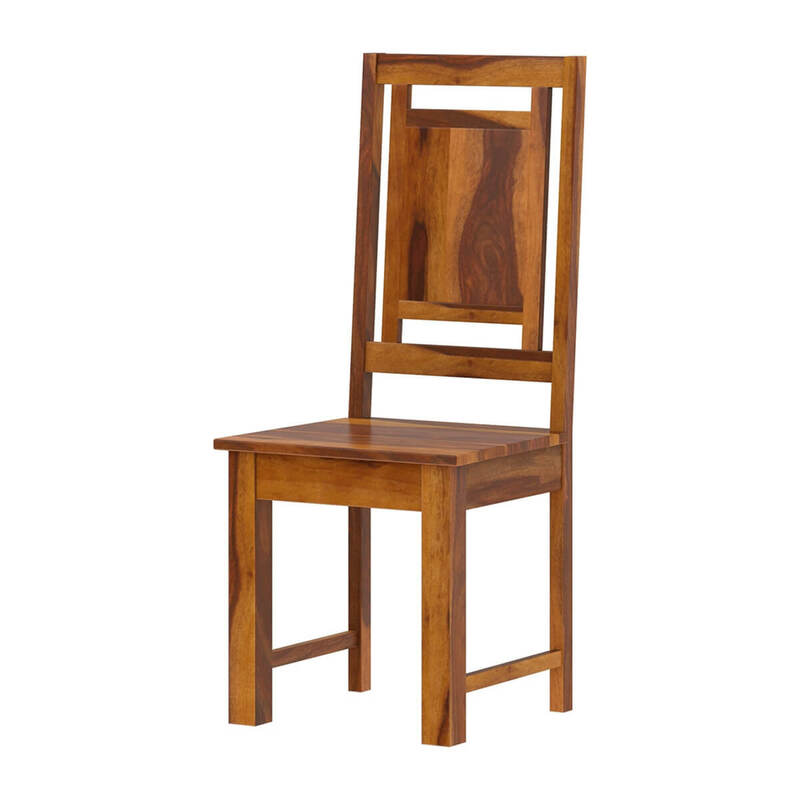 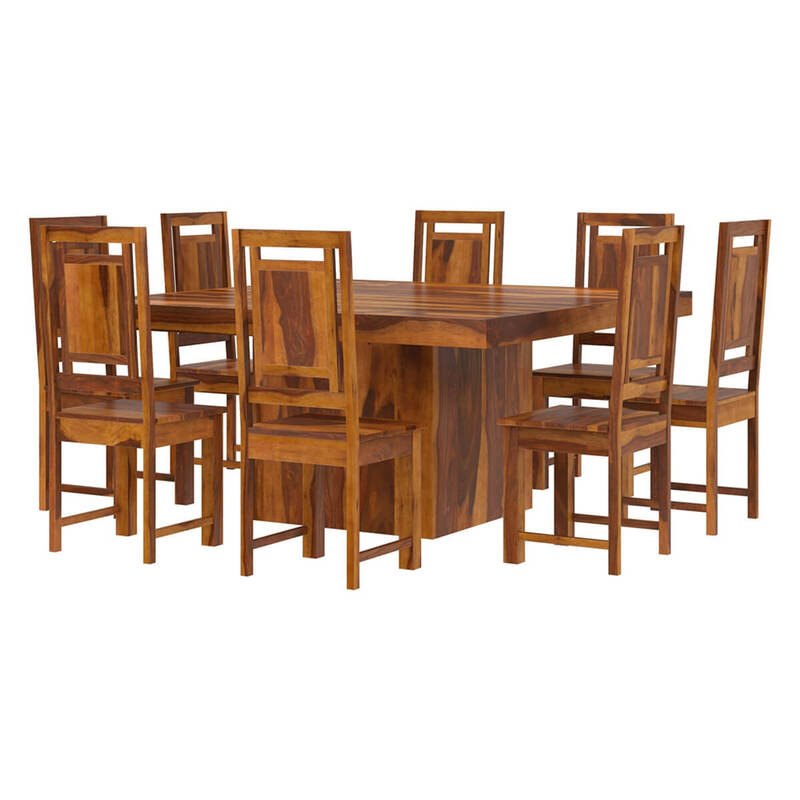 It is made of premium quality solid Rosewood and could be the focal point of your next celebratory meal or important occasion. 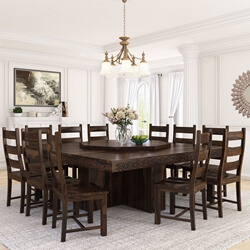 The dining table and chairs are handcrafted using old world tools and techniques and are built to last a lifetime. 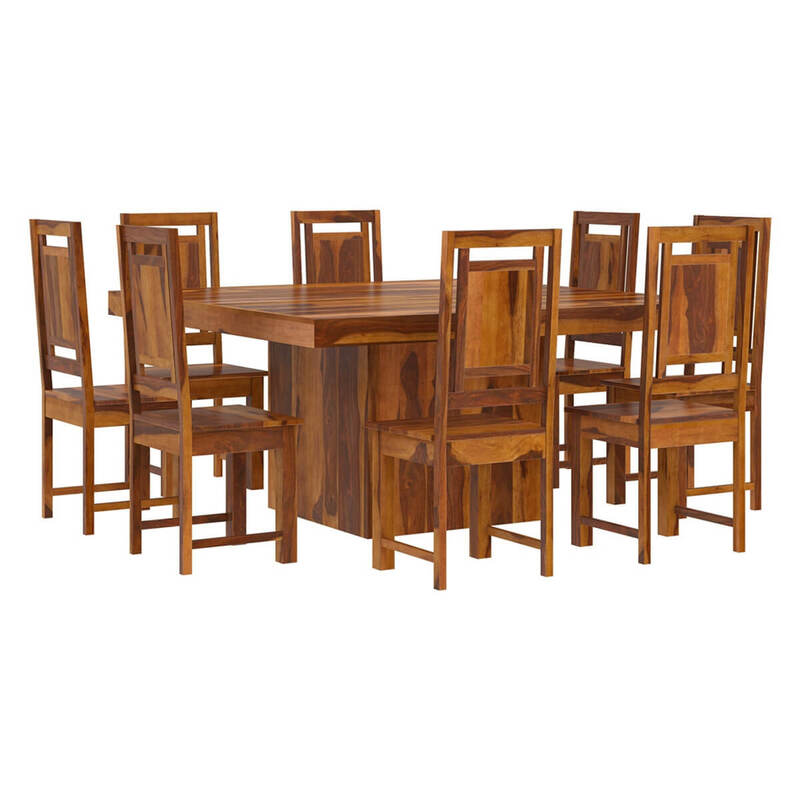 Every table is thoughtfully and meticulously designed to ensure outstanding function and style. 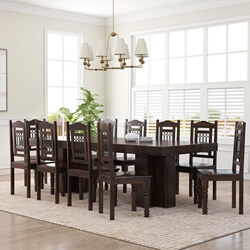 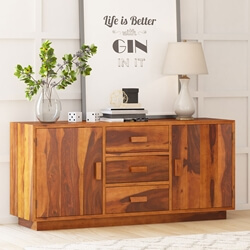 In addition, they are extremely versatile and you can use them for several purposes at once such as a kitchen table, an ideal space for craft or homework, an important part of home entertainment, or a place for your family to gather. 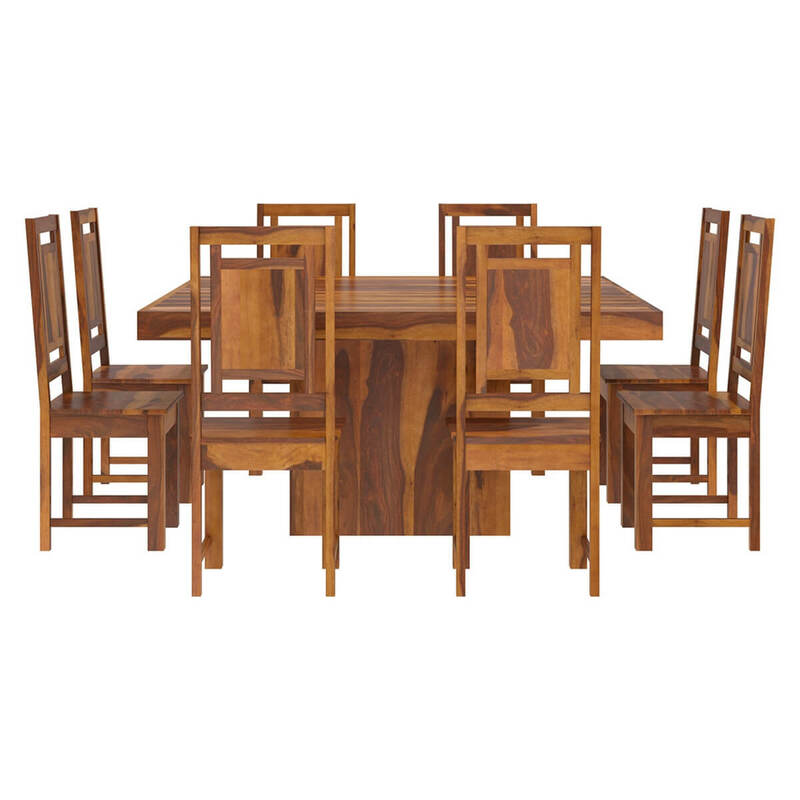 The dining table can accommodate up to eight people, which makes it is ideal for big families. 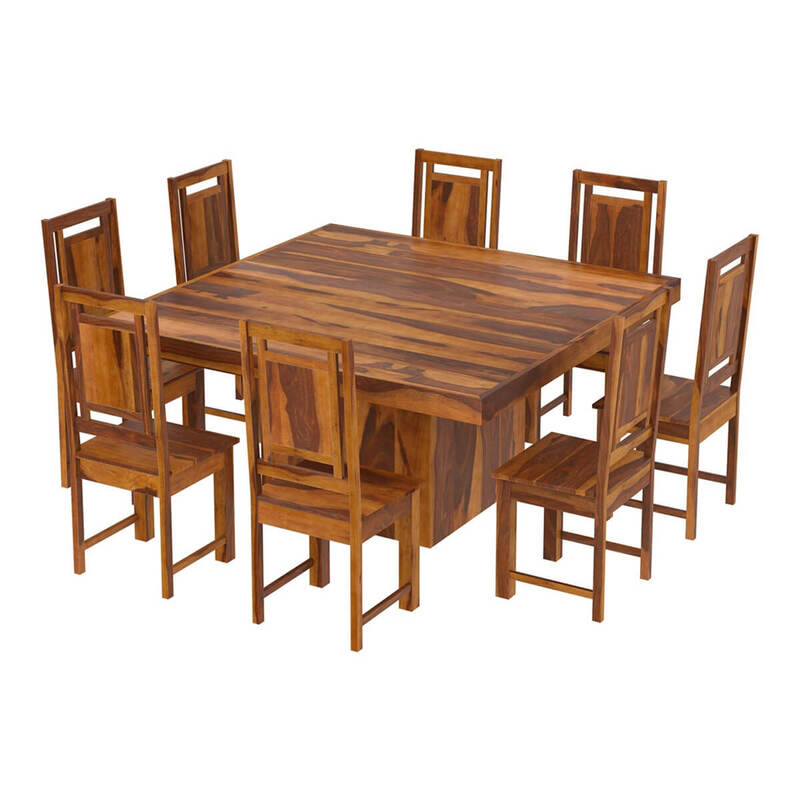 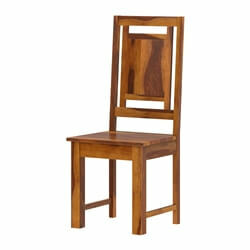 Due to its convenient functionality, the dining set can easily fit in your home. 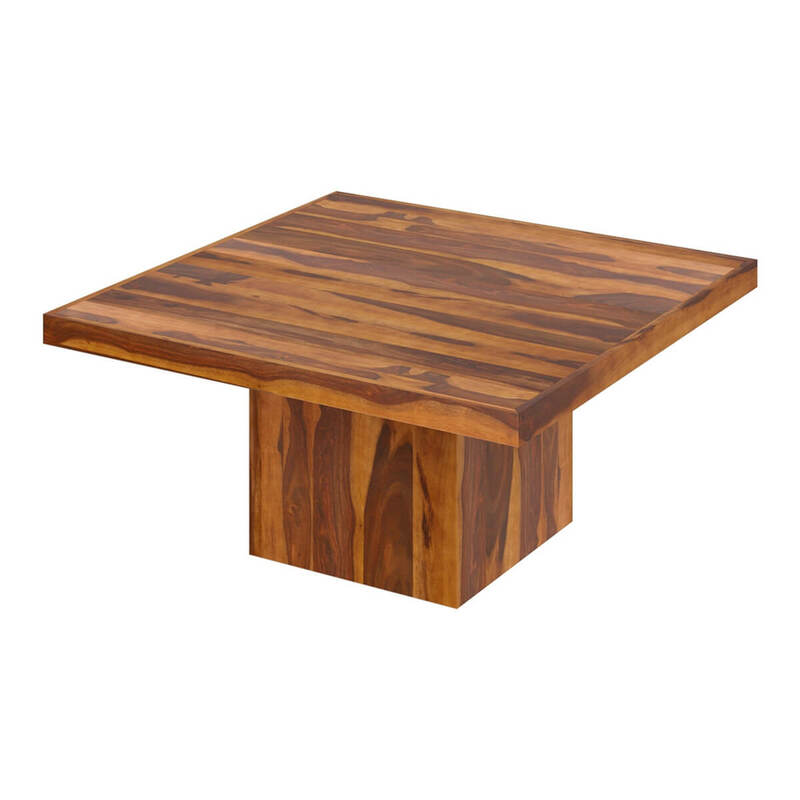 It is a great option for dining spaces and kitchen.